TRTC class C301 electric subway train. A C301 unit consists of 3 permanently coupled cars, a motorized car in each end and a trailer car in the center. This train consists of 6 cars, which are two such C301 units coupled. Driver's stand with digital and modern analogue speedometers and manometers (pressure gauges). 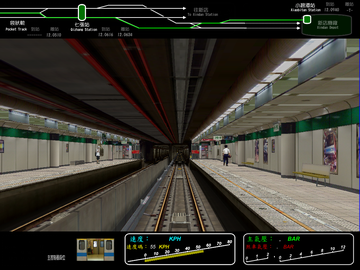 TRTC class C371 electric subway train. A C371 unit consists of 3 permanently coupled cars, a motorized car in each end and a trailer car in the center. 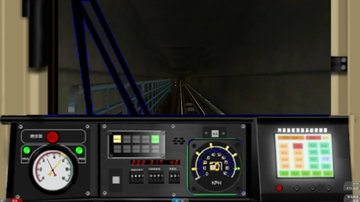 Driver's stand with digital speedometers and manometers (pressure gauges). Above the window is the closest part of the right-of-way schematically displayed. 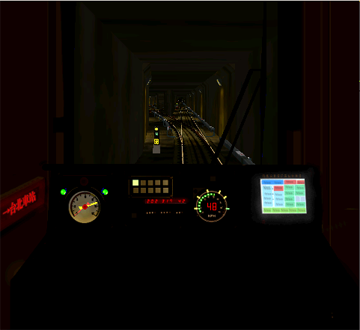 The train is made for BVE 4. Does not work with OpenBVE.